I bought myself lunch from a restaurant called 903 Mills Market. 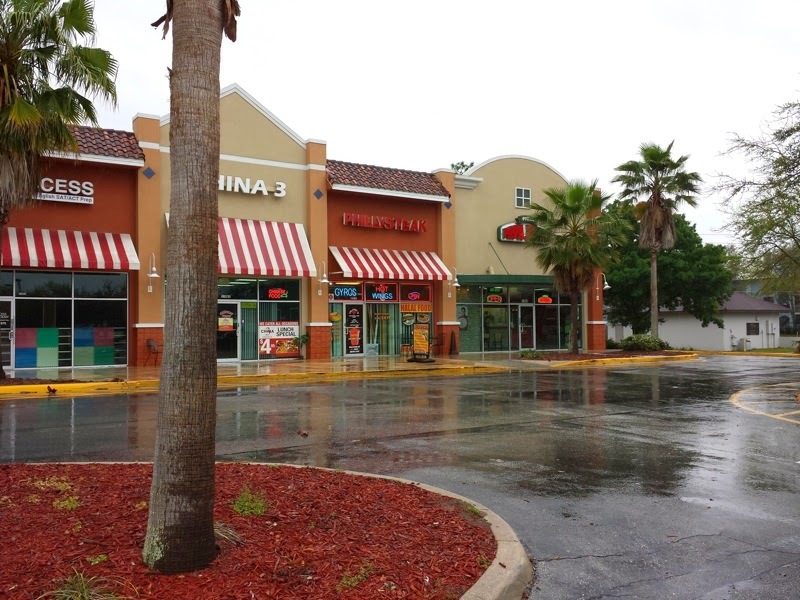 They are located in a residential area on Mills Avenue, not too far south of Downtown Orlando. I remember hearing good things about this restaurant in the past. I don't remember exactly who first told me about 903 Mills Market or what exactly they said about it besides a recommendation that I should try the restaurant. I ordered their Italian sandwich to go. As I was waiting for my order, it became apparent that 903 Mills Market had a very large beer selection. This may have held my interest a bit longer if I was a beer connoisseur, but alas, I am not. My sandwich was ready soon enough. Being that it was a nice day out, it was eaten in a nearby park. 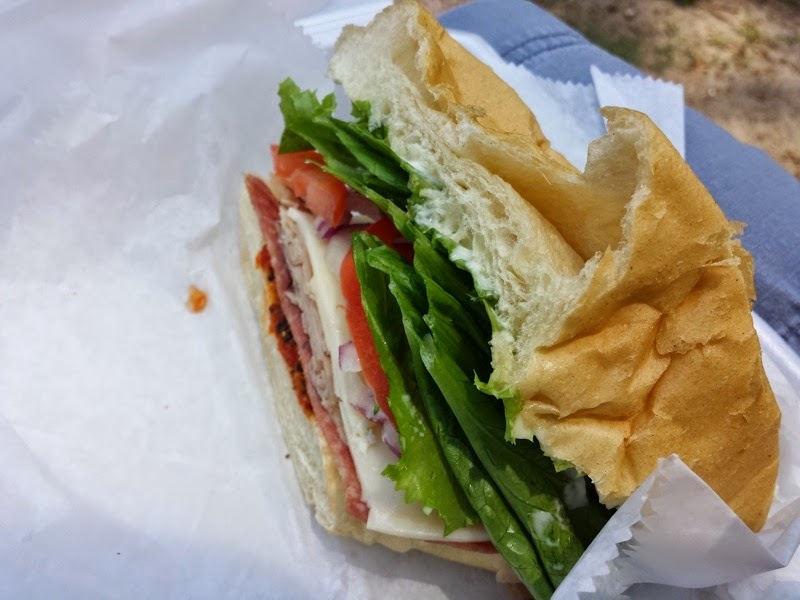 The Italian consisted of ham, salami, provolone cheese, lettuce, tomatoes, onions, mayonnaise, and an olive tapenade. The contents of the of the sandwich were good. They were generous with all of the fillings. The vegetables were nice and fresh. The slightly spicy olive tapenade added an extra burst of flavor. That being said, the bread ruined the sandwich for me. The Italian was served on a very mushy white bread roll. Bread is a big component in a sandwich. It should add to the overall sandwich experience, where this bread did not. They might as well have use a supermarket hamburger bun because this bread was very similar. I had ordered the sandwich as a combo. This meant that I also received a side and a drink with my sandwich. I picked their potato salad as my side. 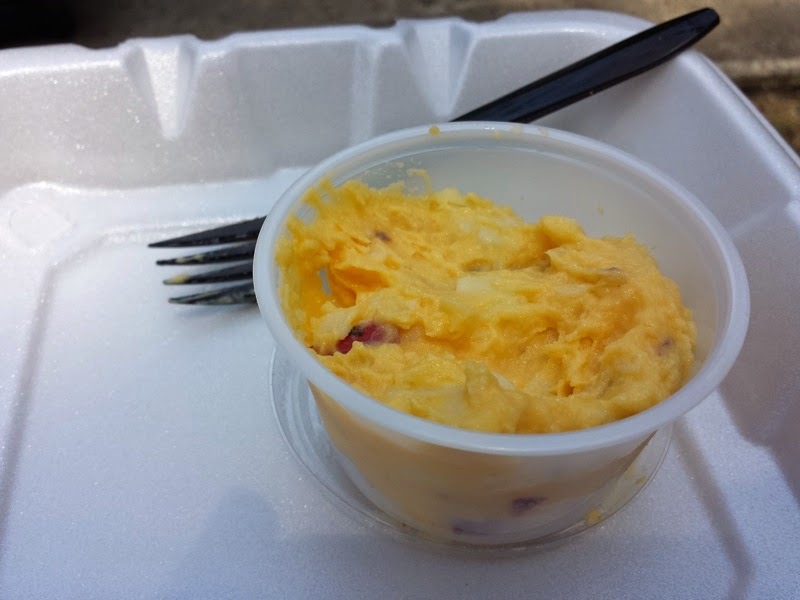 The potato salad was okay, but really didn't have any standout flavor. 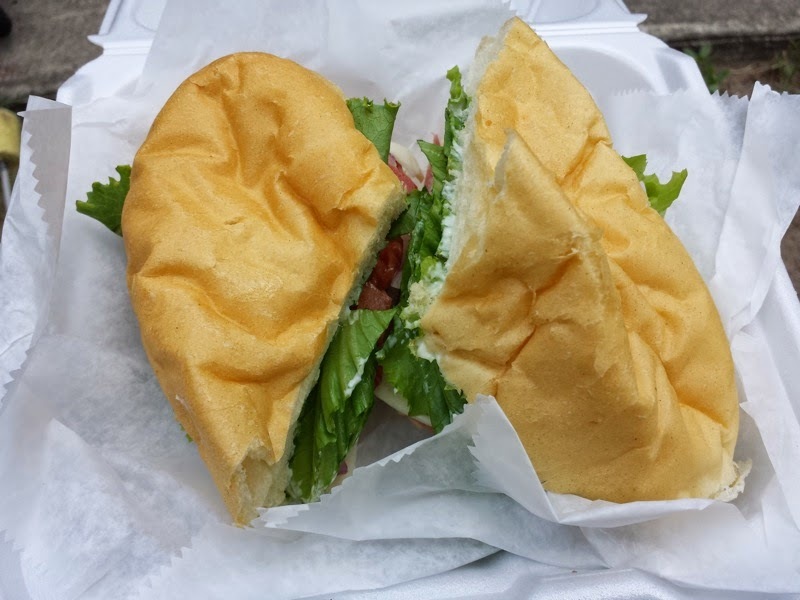 While 903 Mills Market did have some other sandwiches that sounded interesting to me, I don't know if I'm in a rush to return soon. The sandwich contents were good, all to be brought down with a poor bread choice. They were also a bit pricy with a sandwich, drink, and a tiny cup of potato salad costing over $11. Perhaps I'll return to 903 Mills Market in the future or perhaps not. They didn't get placed on my list of restaurants that I want to return to ASAP. 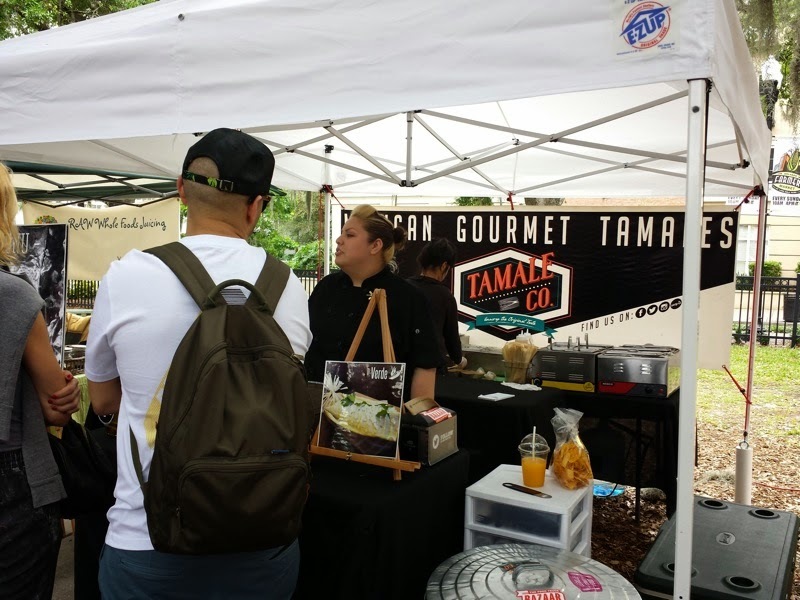 I was at the Orlando Farmers Market at Lake Eola a few weeks ago and had lunch from the Tamale Co. tent. 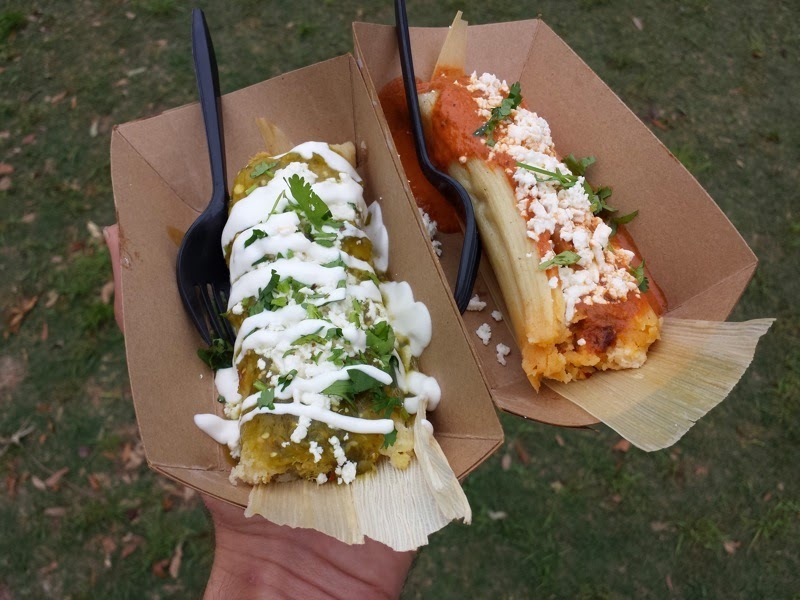 The Tamale Co. is also a local food truck in Orlando that seems to frequent events like the Food Truck Bazaars. This was my first encounter with them at the farmers market so I was interested in trying their "Mexican Gourmet Tamales." The tamales were $4.50 each, or two for $8. I was both hungry and trying to be economical, so I ordered the two tamales. I first tried the Verde Chicken Tamale. This tamale was my favorite of the two. The corn tamale was topped with shredded chicken in a chile verde sauce, topped with tomitillo cream sauce, cilantro aioli, cheese, and cilantro leaves. The other tamale was the Choriqueso. This consisted of chorizo sausage and chihuahua cheese served in a red sauce with cilantro sprinkled over the top. During the first few bites of my tamales, I prefered the Choriqueso out of the two. About half way through, the spicy flavors in the Verde grew on me and the Choriqueso suddenly seemed bland in relation. Both of the tamales were tasty and I'm looking forward to trying the Tamale Co. again sometime in the future. Perhaps next time I'll catch them when they're in food truck form rather than tent form. I had lunch at a restaurant called Orlando's Cheesesteak & Gyro in a strip mall on Apopka-Vineland Road, not far from Disney property. There is apparently a large Islamic community in the area because the majority of the restaurants in this shopping center advertized halal food. There was a halal Chinese restaurant. There were hookah bars, and then there was this restaurant, which also was halal. I ordered their Gyro and Greek Salad combo. 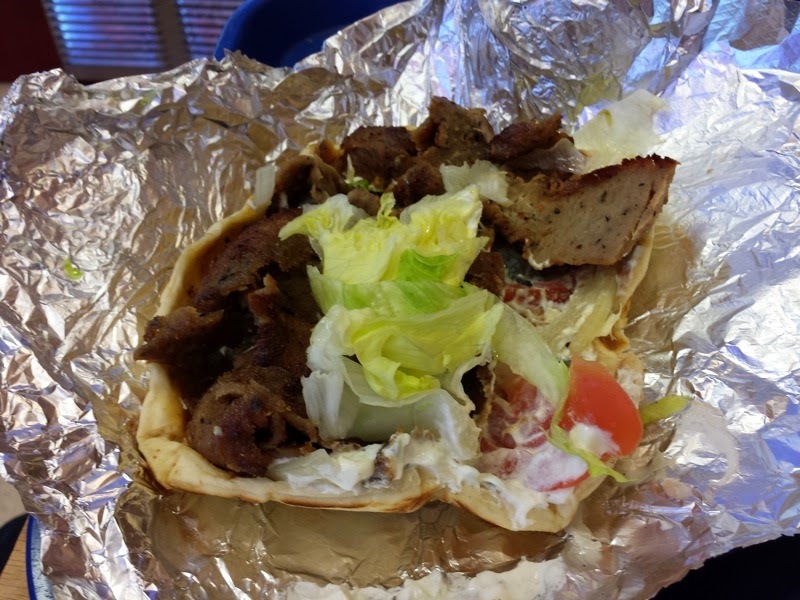 The gyro consisted of a pita filled with thinly sliced gyro meat (I'm assuming lamb? ), lettuce, tomato, onions, and tzatziki. The meat was very flavorful and seemed slightly spicier than gyro meat that I've had elsewhere. 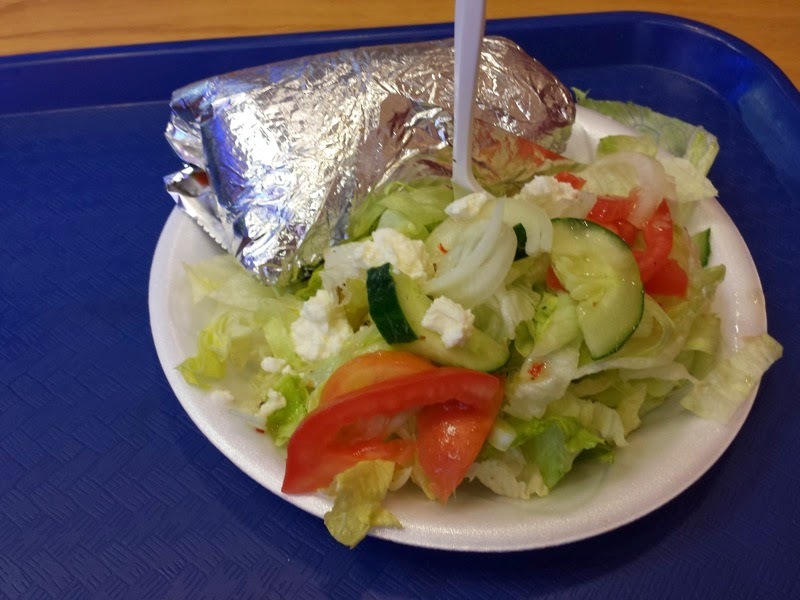 They were a bit skimpy on the vegetables in the pita, but I did have a big plate of salad to go with the sandwich. The Greek salad was nothing to write home about. It consisted of iceburg lettuce, tomato, cucumbers, and feta cheese. It was topped with what tasted like store bought Italian dressing, which I didn't like very much. My gyro here was pretty good. I didn't like the salad dressing, but otherwise it was a good lunch. Definitely much better than the Papa John's next door (I don't think pepperoni pizza is halal). I was in Port Canaveral looking for lunch. The person who I ate with had some sort of inside information that the best restaurant in the port was supposedly called Baja Tavern. We ate on the patio overlooking the water. For some reason this entire restaurant, inside and out, stunk like old lady perfume. Restaurants shouldn't have overpowering smells of anything. I had the Big Bang Burrito. This was filled with fried shrimp, lettuce, tomato, cabbage, carrots, and a bang bang sauce. The shrimp had some nice flavor on the batter, but otherwise the burrito was boring and dry. The bang bang sauce seemed non-existent. Tortilla chips and salsa were served on the side. SunRail has officially started service in Orlando as of this week. In order to try out the new train, I decided to ride to Winter Park to get some lunch. You can read all about my experience riding SunRail on a new blog that I started called FloridaTrainAdventures.com. 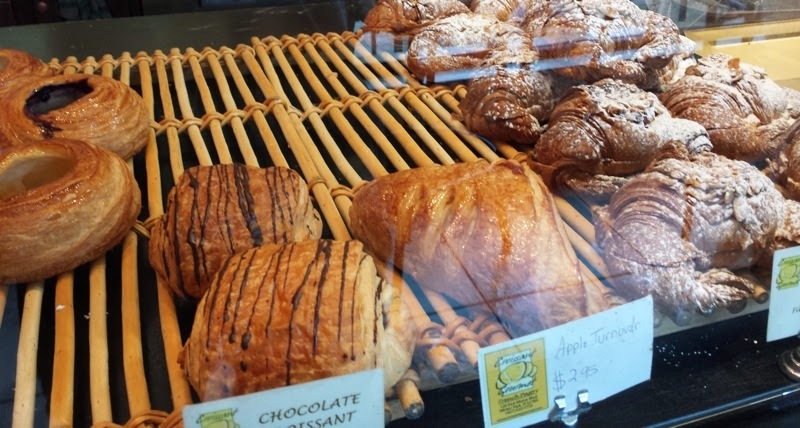 After I got off the train, I walked over to a French restaurant called Croissant Gourmet. 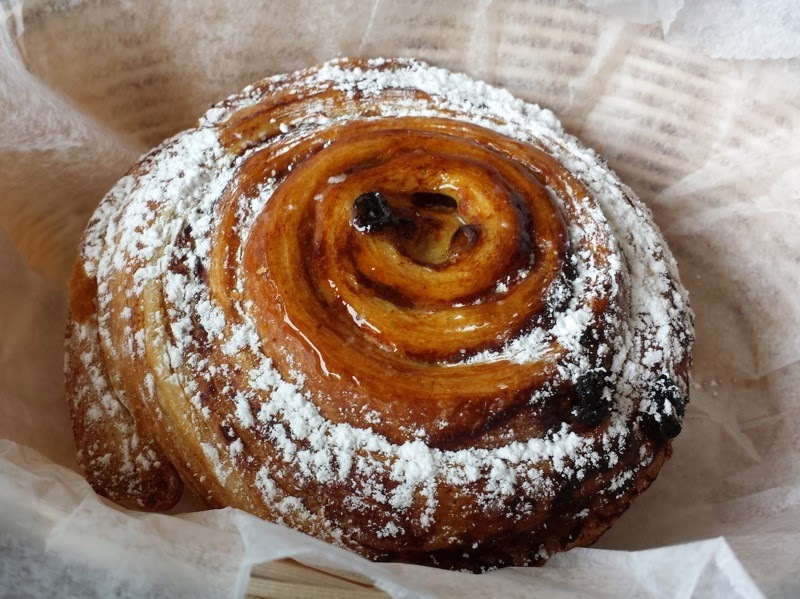 Croissant Gourmet is a French bakery, serving all sorts of delicious looking croissants, pastries, crepes, and sandwiches. I ordered a sandwich called the Croque Monsieur topped with an egg. 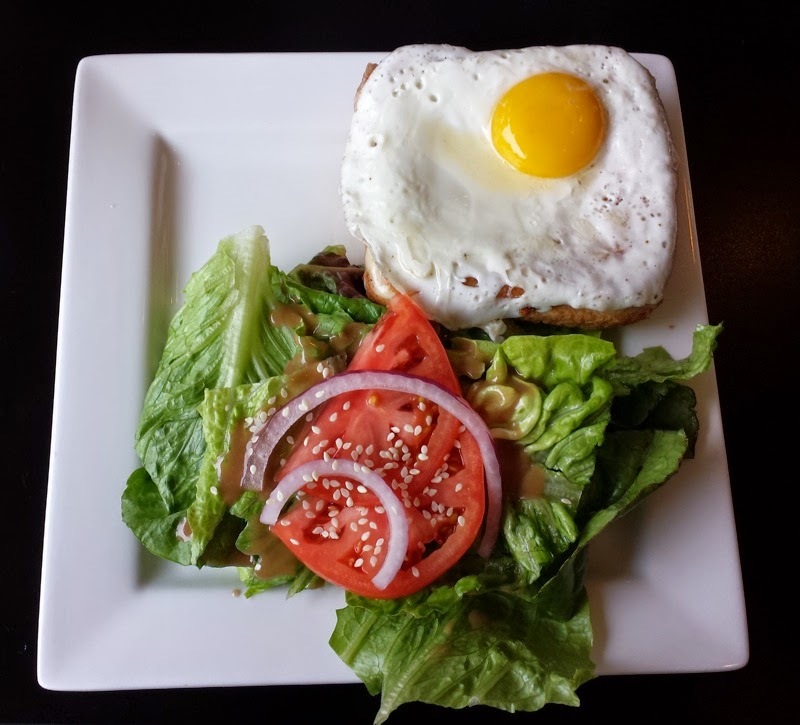 I've heard this sandwich also described as a croque madame if egg is involved, but according to the menu this was a croque monsieur. The sandwich consisted of two slices of bread, ham, melted cheese, and a fried egg over the top. Once the yolk was broken, the runny egg was absorbed into the bread giving the sandwich an extra burst of flavor. A salad was served on the side. I shared a cinnamon raisin roll for dessert. It had a nice, flaky, almost croissant-like texture that I enjoyed. The roll was topped with powdered sugar and was tasty. I was driving through Gainesville and decided to stop to get dinner. Mexican food sounded good and after finding out the first restaurant choice right off the I-75 exit was closed on Sundays, we ended up at a restaurant called Las Margaritas. The restaurant name was ignored and I didn't have any of their margaritas. 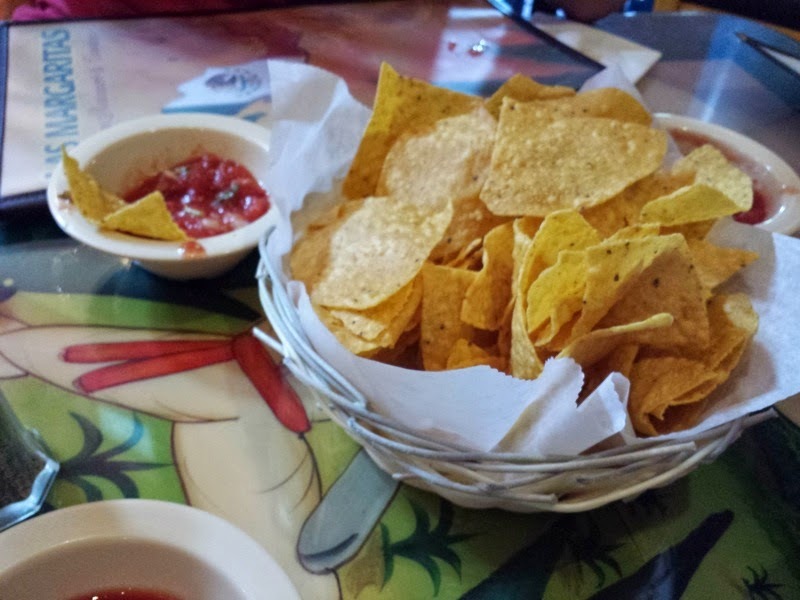 Instead, the meal began with chips and salsa. I ordered the Enchiladas Mexicanas. 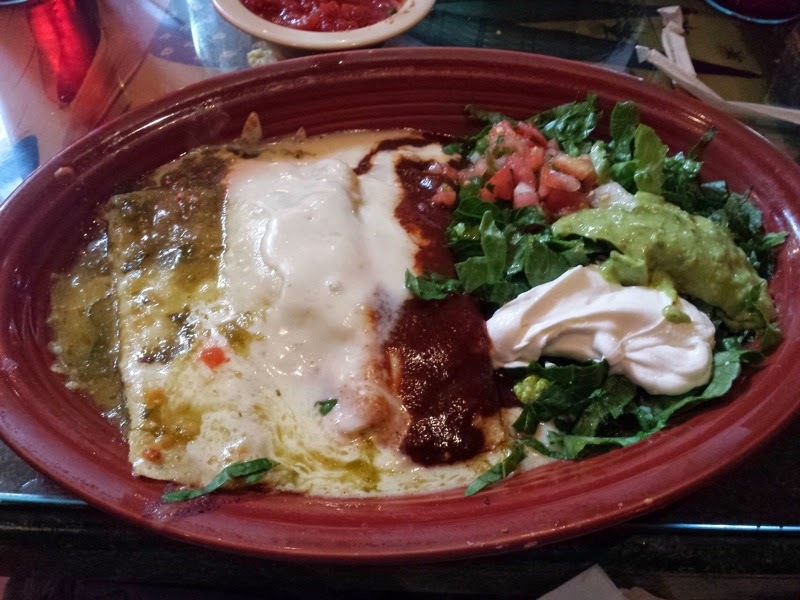 This dish came with three enchiladas, each with a different filling and sauce. There was a cheese enchilada topped with tomatillo sauce. There was a chicken enchilada with cheese sauce, and a beef enchilada topped with a red sauce. My favorite of the three was the chicken in the cheese sauce. The sauce was almost like a creamy alfredo sauce (but not quite), rather than the typical melted cheese that I've encountered more often in Mexican restaurants. My second favorite was the cheese enchilada with the tomatillo sauce. I do enjoy a tasty tomatillo sauce, and this was indeed tasty. My least favorite was the beef enchilada. This seemed the most boring of the three. Not much was going on when it came to flavor with the ground beef or the red sauce. A salad made from lettuce, pico de gallo, sour cream, and guacamole accompanied the enchiladas. I enjoyed my meal at Las Margaritas. After a day of driving, eating here was a nice break before the final stretch home. The food was tasty and the prices were affordable. 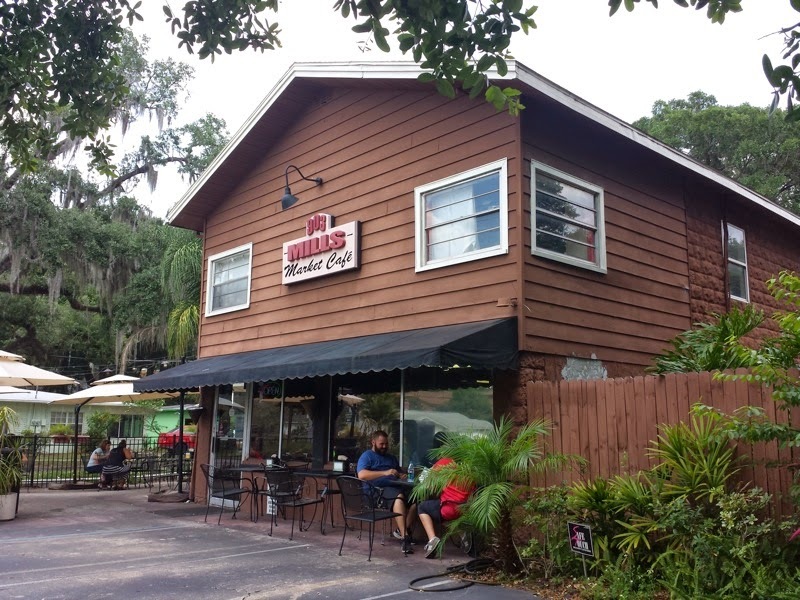 If I lived closer to Gainesville, I'd return to this restaurant! I recently visited the West Oaks Mall in Ocoee. The slowly dying mall is mostly devoid of stores, including in the food court. That said, some of the occupied restaurants here were a bit more interesting than standard food court food. There was a place serving boba tea. 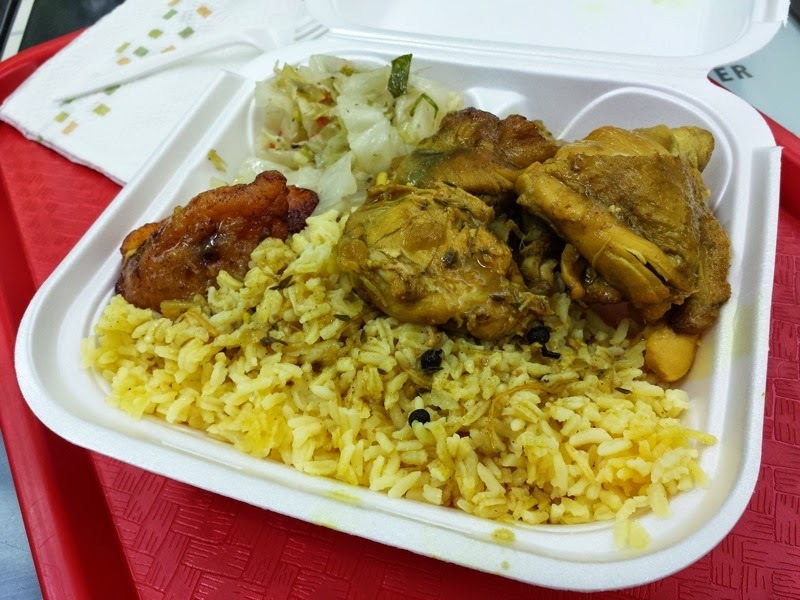 There was another, which I had lunch from, called G&G Jamaican Delights. I had the curry chicken. This came with several pieces of chicken, rice, plantains, and cabbage. The chicken was nice and tender. The curry flavoring was tasty and the leftover sauce added extra flavor to the rice. Like meats served from many Jamaican restaurants, careful of little pieces of bone. 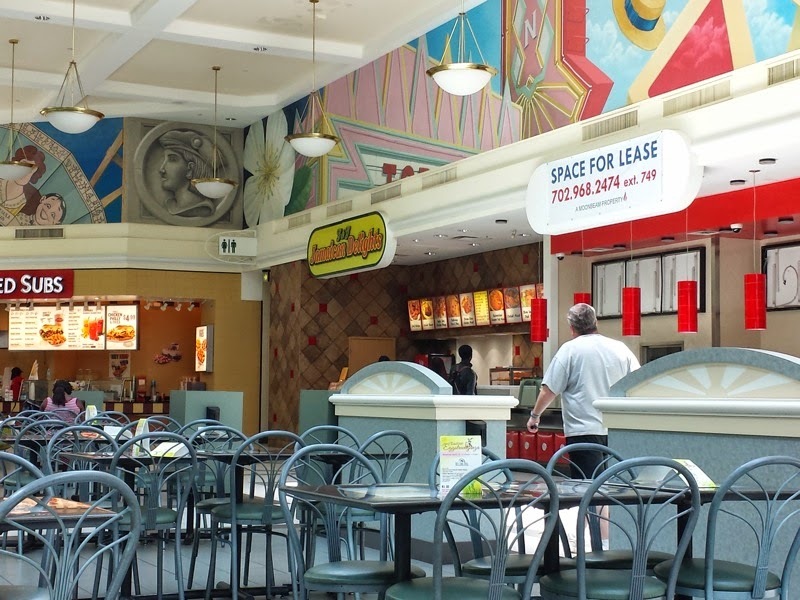 Much better than a standard food court chain!